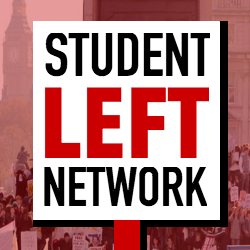 Sack the Provost // Democratise UCL – Demo report and campaign launch! Watch the video here. On 12 November, a coalition of students held a DEMOcratise UCL protest in anger at the systematic marketisation and lack of democracy at the university. A group of students assembled in the south quad and proceeded to protest outside the Provost, Michael Arthur’s office, equipped with drums, banners and smoke grenades. … Continue reading Sack the Provost // Democratise UCL – Demo report and campaign launch!